This role would ideally suit an experienced person who wishes to work part-time and possibly from home but would not exclude working in our Melbourne-based office if required. As this is a brand-new role, there will be some planning work required to develop an effective digital marketing strategy, as well as maintaining the current website (www.returnmed.com.au) with engaging content. Regular evaluation and reporting will be required. Currently our presence on social media is very limited and it is anticipated that the successful candidate would plan and develop this presence, ensuring that the important work of RUM Project is understood by all Australians. It would be expected that an online communications specialist would be able of creating relevant and engaging blog content, maintain the website as well as monitor and evaluate the effectiveness of any activity on social media and respond to any audience engagement. The successful applicant must be experienced in online communications and be able to demonstrate previous experience in a similar role, have experience and knowledge in copy writing, proof reading and editing, and needless to say have excellent knowledge of Facebook, Twitter and other social media best practices. As this position will be a part time position, salary will be negotiable with a view to consideration of the number of hours worked. It is anticipated that the position will require no more than 35 hours per month. The RUM Project is a Commonwealth funded, not for profit organisation that provides a safe and environmentally appropriate method of disposal of unwanted medicines in the community, using local pharmacies as the collection points. The RUM Project provides collections bins (RUM bins) to pharmacies in all states and territories, so is a truly national program. We are a small organisation and have one Melbourne-based office. 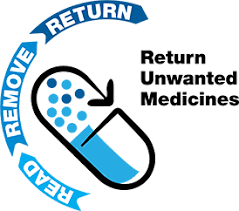 For almost 21 years, the RUM Project has been in operation and during this time many thousands of unwanted medicines have been safely removed from our homes – during 2017 -2018 we collected and incinerated well over 800,000kg of unwanted medicines. Please quote in application: Online Communications Specialist via Pro Bono Australia.